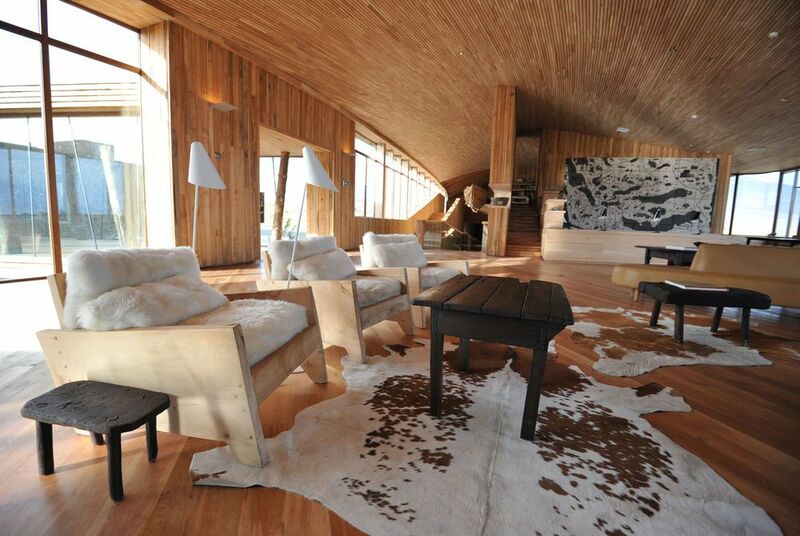 Opened in late 2011, Tierra Patagonia became the last luxury lodge in Torres del Paine. 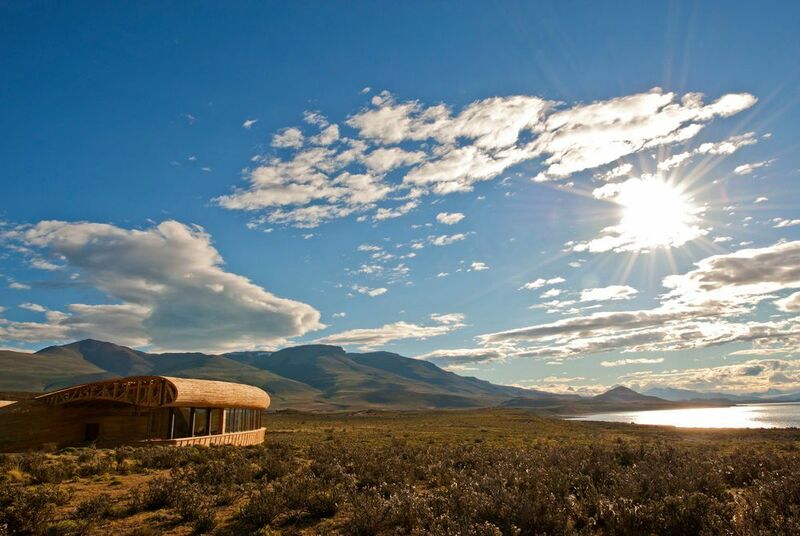 With no further hotels permitted in the park, it squats inconspicuously on the eastern perimeter, a fluid structure of local wood on the shore of Lake Sarmiento. 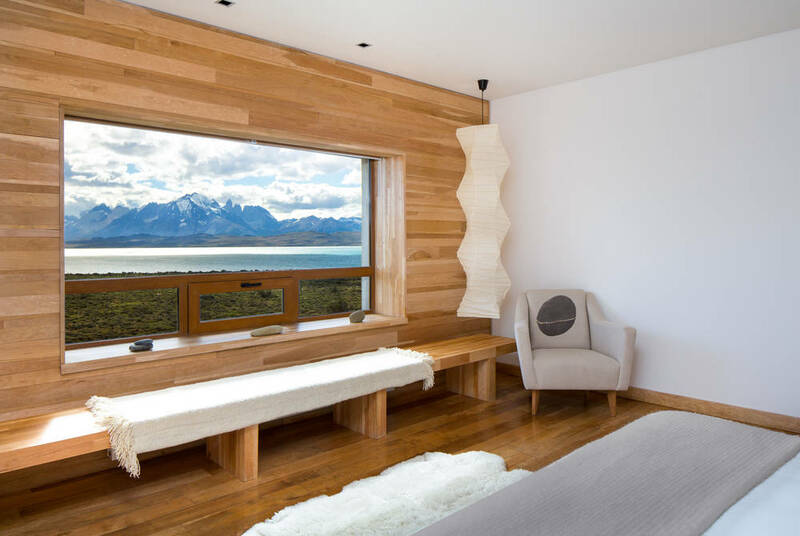 From every window, the horns and towers of the Paine massif are perfectly framed. 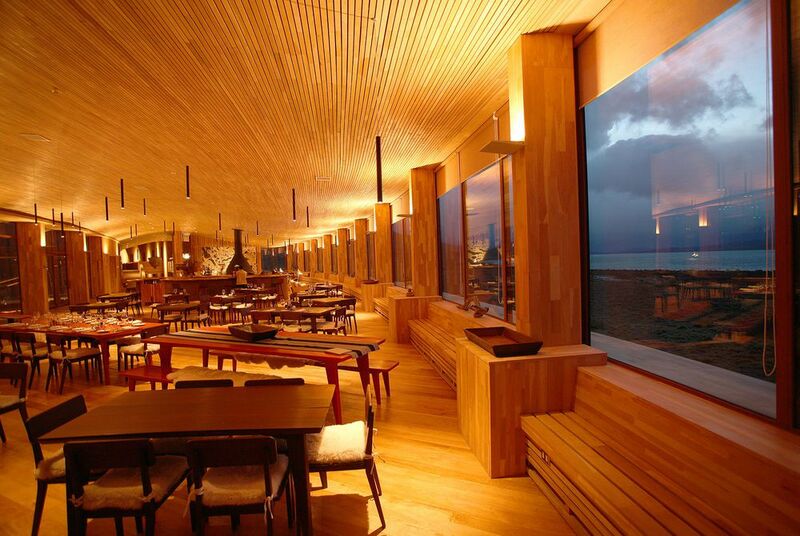 Nowhere more so than in the cavernous dining room, bar and excursion prep area, whose wall of glass spans the breadth of the building. 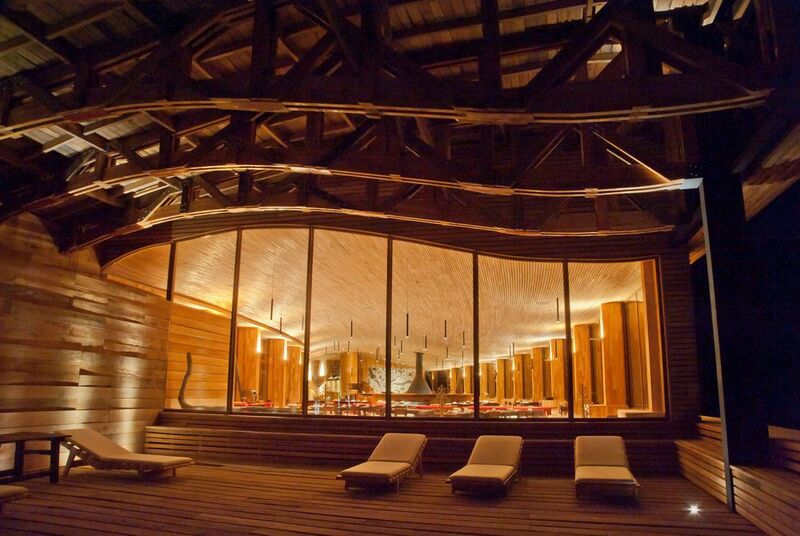 The 40 rooms come in three styles. 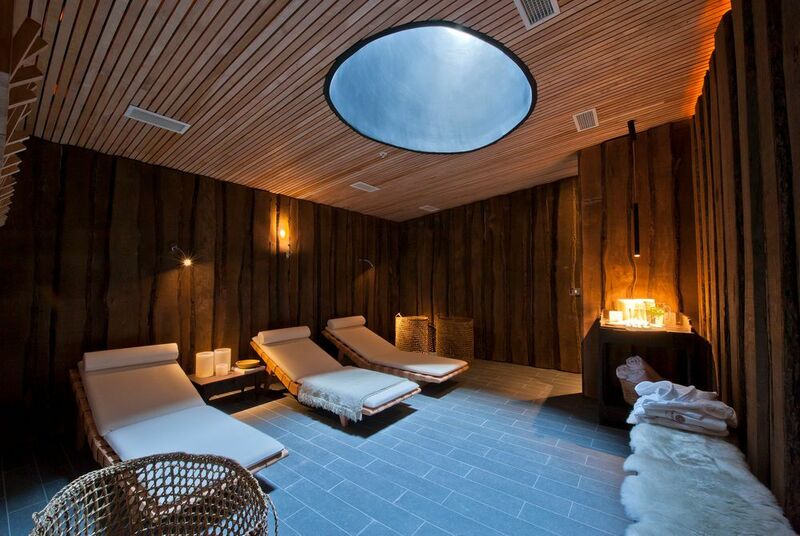 The three standard rooms are spacious enough, with a bathtub in the bedroom and a separate en suite bathroom. 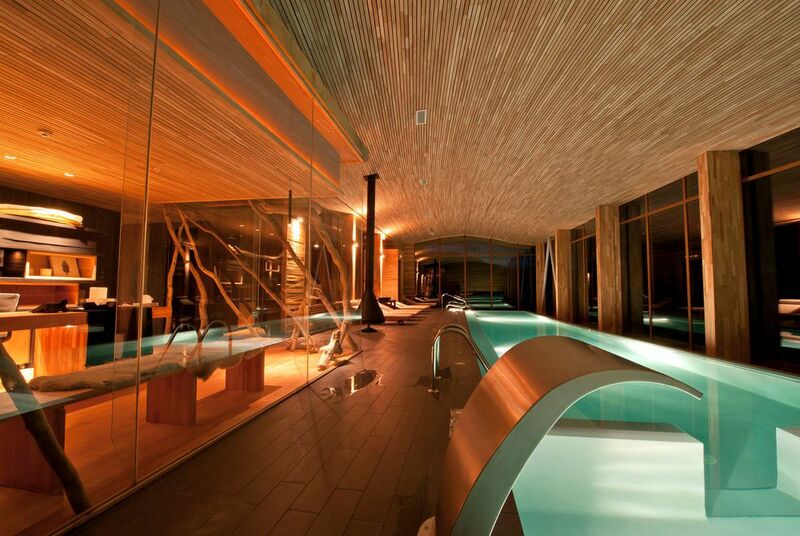 Superior rooms, ten of which can be connected to make family apartments, are larger still and keep bathing to the bathroom. The three suites have a two-storey loft design with a living space up top and a bedroom and bathroom below, with one giant window covering both floors. 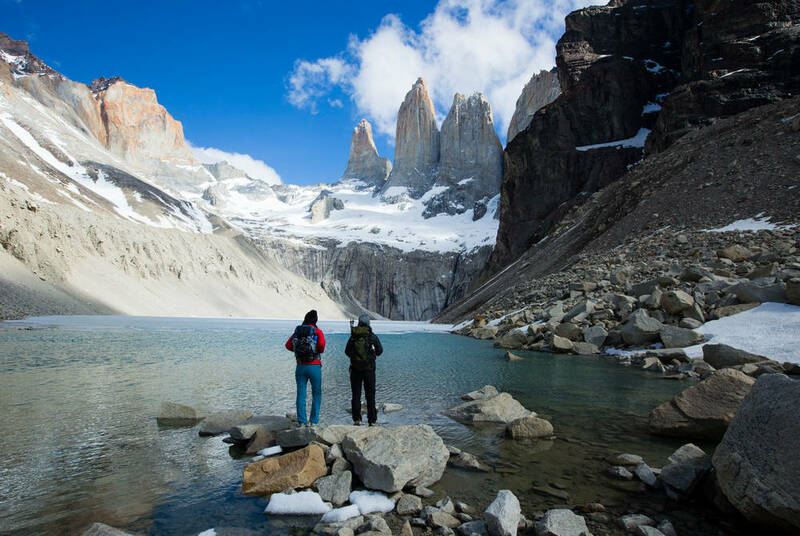 All offer superb views of the famous rock 'towers', after which the national park is named. 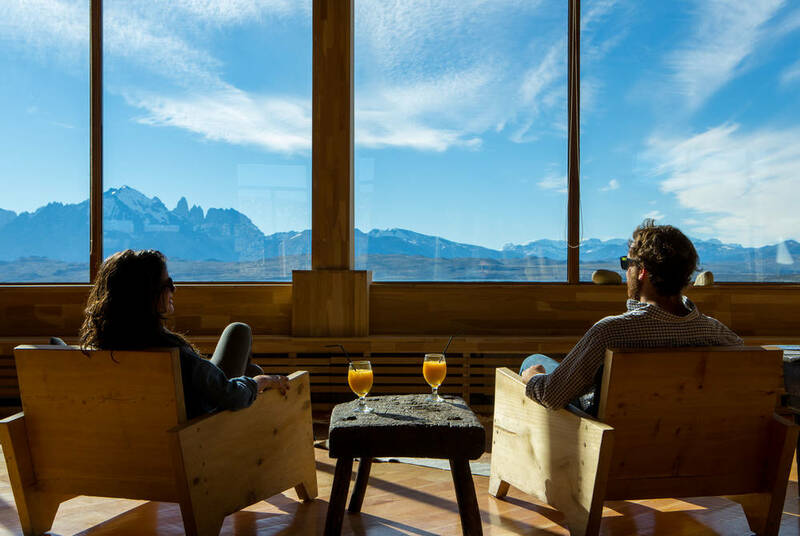 Meals are included and the hotel's restaurant, which offers spectacular views out across the snow-capped peaks of the Paine Massif and the icy blue waters of Lake Sarmiento. 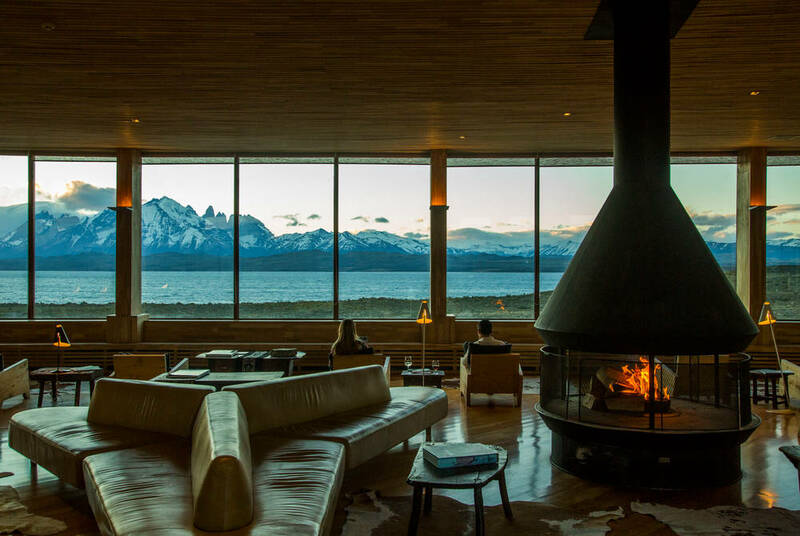 Enjoy a blend of Patagonian specialities and international dishes, all accompanied by a wide selection of fine Chilean wines. Every evening, private planning consultants sit with guests in Excursion Corner to discuss activities for the following day. 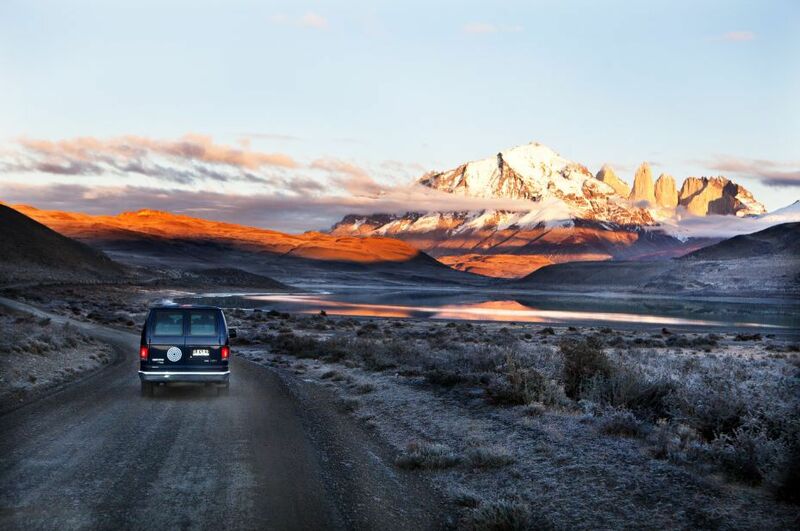 While all the usual options within the park are available, Tierra also takes guests to other equally beautiful areas around the park boundary, where other tourists cannot go. 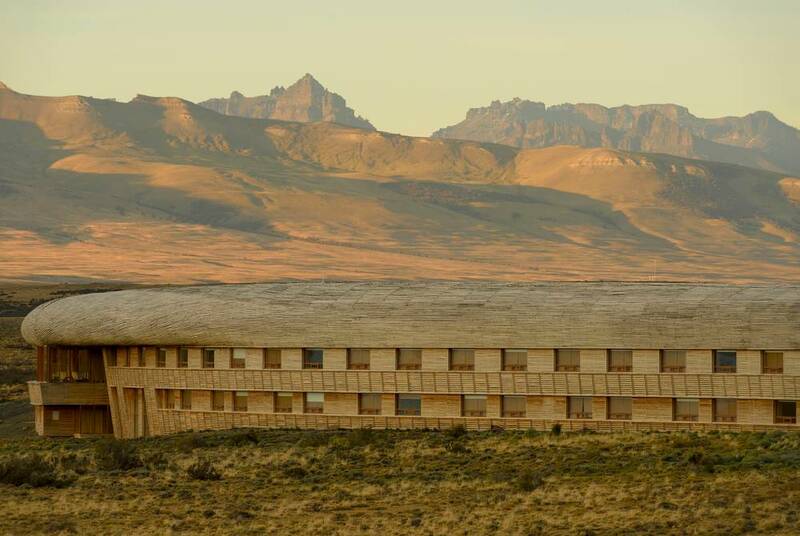 Options outside the park include ranch activities at Estancia Cerro Guido, condor spotting from rugged escarpments, off-the-beaten-track treks and the popular combination of fishing, walking, riding and fossil hunting. 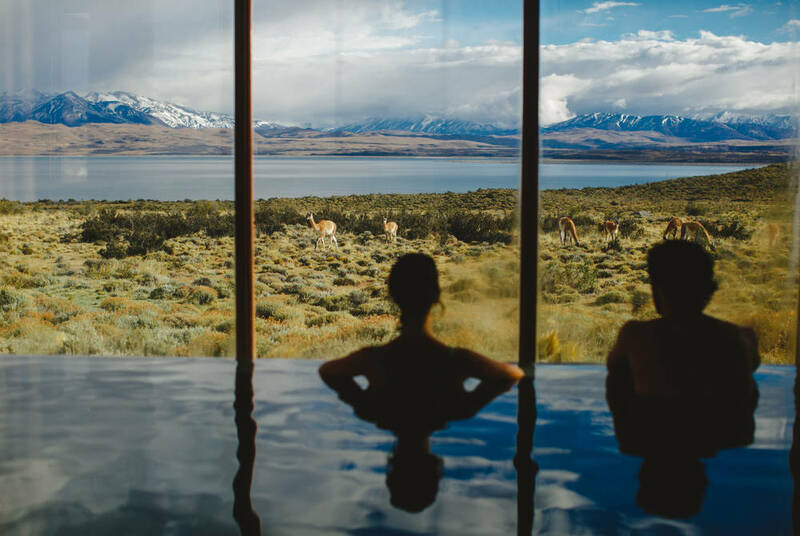 And if all that exhausts you, there's always the Uma Spa, complete with indoor pool, treatment rooms, sauna, steam room and outdoor jacuzzi – and now even a yoga room - all once again with those mesmerising views of Lake Sarmiento, the Paine massif and the occasional guanaco. 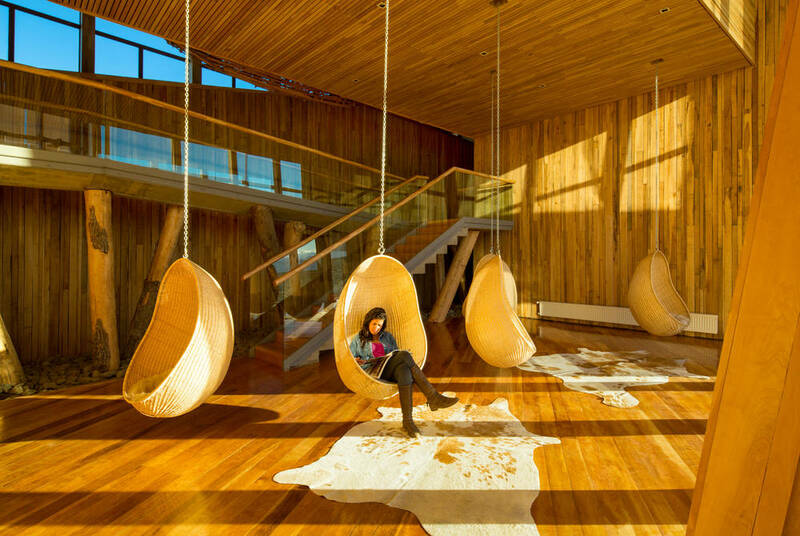 The hotel also features complimentary WiFi in all public areas. 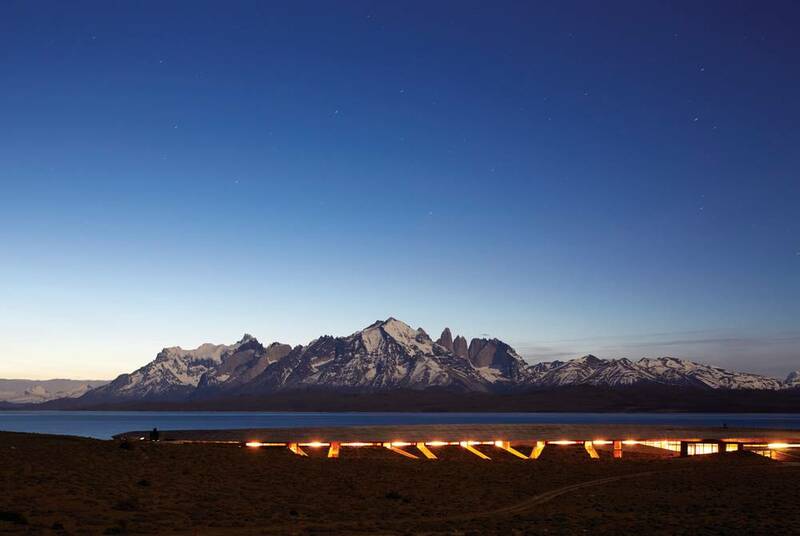 Escape from the distractions of the outside world at Patagonia’s original design hotel, where modern technology takes a back seat to natural wonders of the Torres del Paine National Park.